This salad is one of my favorite things to eat & make during summer. 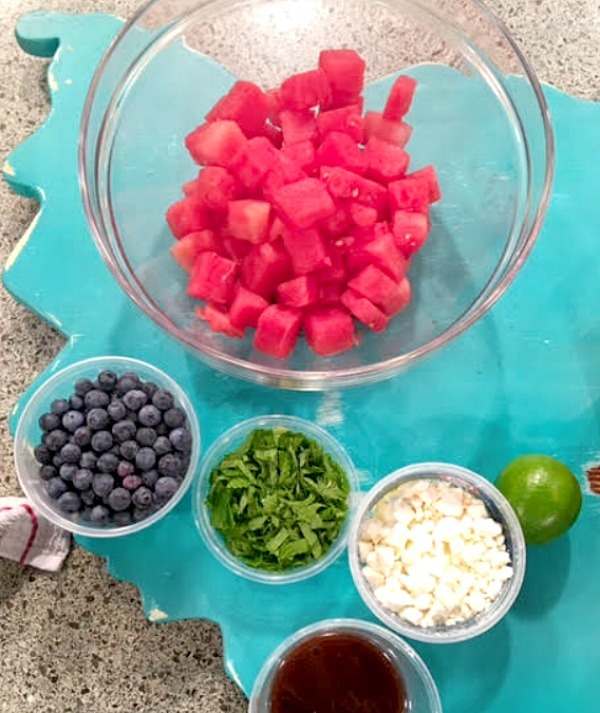 A refreshing blueberry, watermelon, feta cheese, mint salad made with a simple dressing for a perfect sweet and savory salad for any summer celebration. In a large bowl, whisk together olive oil, balsamic vinegar, salt black pepper. Add the diced watermelon, blueberries, mint and crumbled feta cheese to the bowl. Gently toss to coat. Healthy and tasty salad are ready to be served.